We are excited to be back at the Urbana Market at the Square beginning May 4, 2019. We will also have a booth at Champaign's Farmer's Market on select Tuesday's beginning May 14 and at the Frankfort Illinois Farmers Market on Sundays beginning in April. We are fully stocked and offer some new cuts of meat as well as the old favorites. We have some delicious new recipes and cooking tips. Get ready to enjoy bison " the healthy red meat". Looking for bison meat in Illinois? Look no further than Ruhter Bison! Ruhter Bison is a family-owned small business in East-Central Illinois, serving the greater Champaign-Urbana area with the best bison (sometimes called buffalo) meat in town. Our bison are grass-fed, pastured, hormone-free, antibiotic-free, sustainably grown, happy bison. When processed, they become some of the tastiest, healthiest red meat available. All meat is USDA and/or Illinois inspected. Love our taco mix and chili mix recipes? Now you'll love them even more! Do you love making bison tacos or bison chili from our great recipes that feature just a small amount of salt and no artificial preservatives? But find yourself buying prepackaged mixes for the convenience anyway? Well, look no further!! Ruhter Bison now has 5.5 oz bottles of taco mix and chili mix premade for your convenience! We worked with our friends at Central Illinois Spice Company to make this great new product available. Bottles are available now if you place an order for pickup. And, of course, we will be featuring them at the Market at the Square this summer, beginning the first weekend in May. Be sure to come get yours while they last! Which cut do I get? How do I properly cook bison? What's the difference between a great bison meal, and a terrible one? How it was cooked! Overcooked bison is tough bison. Bison cooked correctly is delicious and tender bison. Check out the National Bison Association's page on how to properly cook bison meat so you will thoroughly enjoy it! But which cut should you get? We often have customers ask for suggestions on which cuts to get. 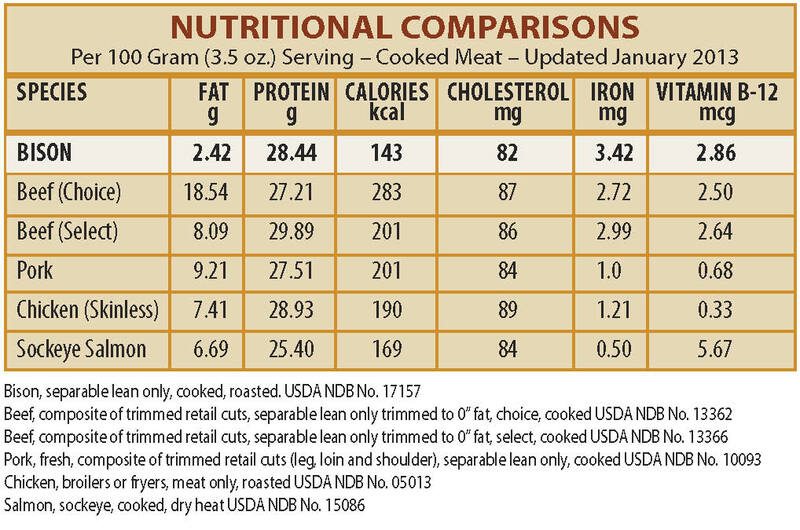 The infographic has some great information on the different cuts and the best cooking methods for each. We also have some basic cooking instructions and a few recipes posted on our Recipes & Cooking Tips page. And keep an eye out at the farmer's market beginning in May. We are going to have at least a few new offerings to help you enjoy your bison meat even more! 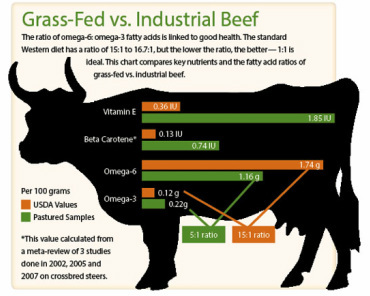 The benefits of bison: Good for You, the Environment, and the Bison! Ruhter Bison has a new Facebook link. Our Facebook page link has been updated. Go check us out: www.facebook.com/ruhterbisonIL Be sure to "Like" us and get all the latest Ruhter Bison info in your newsfeed!